So..are you ready for the lecture? Let’s get started~! Basically, Joseon’s social strata traced back to Silla’s bone rank system. I won’t go into detail about the history behind the system, but rather divulge straight into the social classes in Joseon. 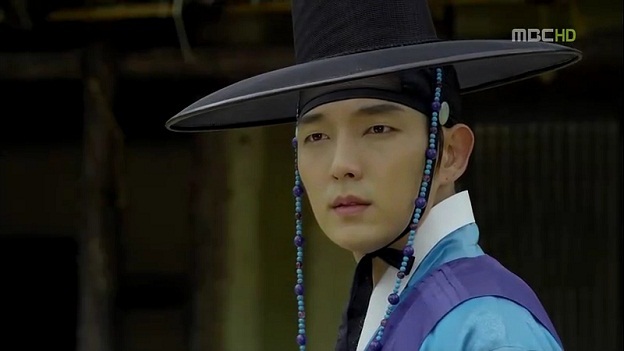 Just like what we have seen in sageuk, they often depict the huge difference between the upper class and the lower class. It’s the real fact in the history, where the upper class ruled the lower class because of the difference between the virtues they held. There were various aspects that can distinguish the noble from the commoners. Lineage: Social status of Joseon’s subject was hereditary, hence one of the ways to differentiate between the classes was based on birthright. The social strata itself was a rigid system, so intermingling with other classes was almost impossible except for work purposes and that caused intermarriage between classes to be a very rare occasion. Noblemen would marry into another noble family, while the commoners would marry among themselves. Hence, it maintained the social classes of the children in which they inherited directly from their parents. It’s fair to say that the parents’ fate were what would be of their children. Another reason why lineage was important in determining one’s status was because of jokbo, or genealogy charts (in simpler terms, family tree). The chart was used to record the members of a family. Only male family members were registered and recorded in the chart since they were to prolong the family and clan’s lineage in the future. Jokbo was a prime record in determining one’s family but towards the later time in Joseon Dynasty, it couldn’t be used to authenticate a person’s social status due to many problems that arose. Education: Although the status was hereditary, one can climb the social status through education, hence it was one of the parameters used to measure one’s status. The civil service examination, or gwageo, was the formal (and legal) way for a person to advance through the strict social system. However, not all people had the opportunity to do so, though it’s opened for everyone except the lowest class and outcasts. Since people who wished to take the examination had to possess high literary skills and vast knowledge about Confucianism, it’s mainly the noblemen who had the chance to enter since they had the money and time to study, while the lower class had to work to live. The examination was only for male candidates from families with clean records. Hence, they had to submit a list of their four ancestors on both paternal and maternal sides, known as sajo. Sons and grandsons of people with unclear or unclean backgrounds, for instance concubines, widows, and corrupt officials, were not allowed to enter the examination. Commoners had little or no opportunity to do so,except for a few. Through possessing sufficient knowledge and passing the examination, nothing could stop someone from changing his life and status. Occupation/ Official Rank: This was according to one of Confucius teachings, which stated that the value of work depended the magnitude of people that the occupation served. So, a government officer working for the betterment of the whole nation was placed at the top of the society while the peasants, working for the betterment of his family, was placed lower in the society since the scale of people they worked for were smaller compared with the government officer. Government officials had the opportunity to get the land presented by the King, so they were given the right to cultivate and most of the time, give it to be rented by farmers. Possession of land was a way to estimate one’s wealth, so it’s an easy method to determine who’s belonging in which social class. However, towards the later time of Joseon, due to the arising of merchant families with more wealth than the noblemen, wealth became an independent parameter to determine one’s social status. The royal family of Joseon was also known as the House of Yi (Hangul: 이, Hanja: 李) as the family name was Yi. 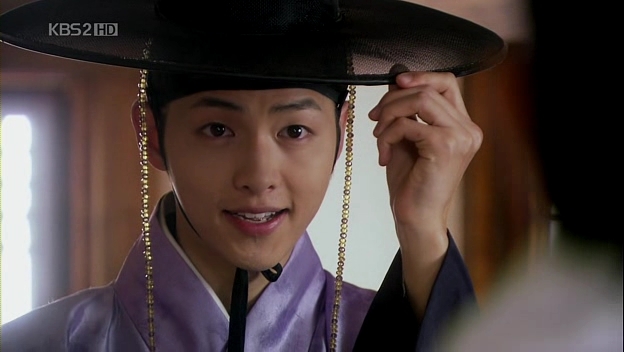 They were the top people of Joseon as they were the ruling family of the nation. The king had the power to rule, but the government officials also had their own share of advising the king about the matters regarding the problems and decision. The word yangban was derived from “양반” that means “two groups”. 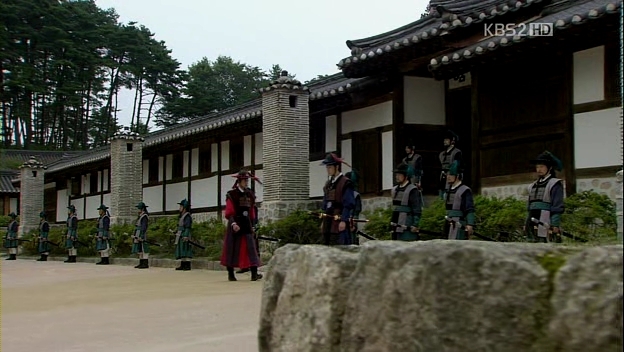 It’s literally true as yangban consisted of munban, the civil officers, and muban, the military officers. Although civil officers were of higher ranks than military officers due to Joseon stressing more on literature and Confucianism than art of war, both were considered as the noblemen and aristocrats of Joseon Dynasty. 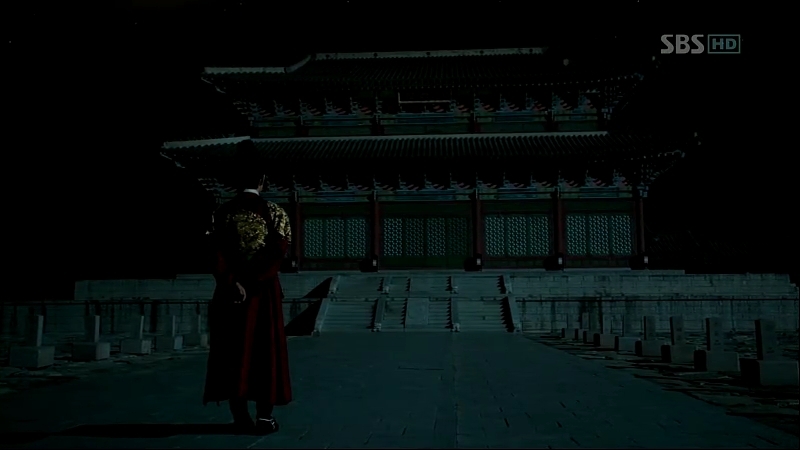 At first, yangban status isn’t fully hereditary as the royal family. It is gained through success in gwageo and getting a government post. As one is declared a yangban, the immediate family members (as far as the seventh relatives) and descendants would be considered yangban too. I would say that the status is semi-hereditary, as the descendants of a government officer would be demoted to the commoner level if they were unable to serve the government in three generations. However, there were some remote descendants of yangban who were respected, though they didn’t serve the government. They were not living in wealth but retained the lifestyle of Confucian scholars. 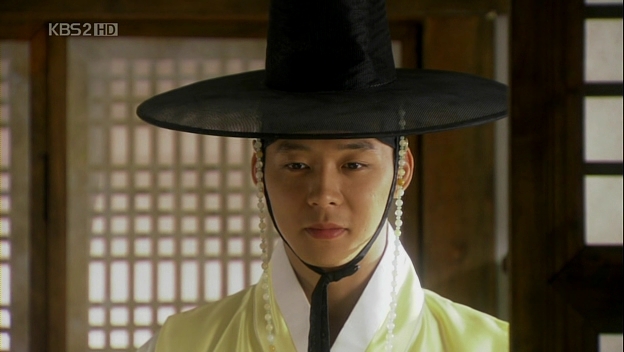 Some good examples of such yangban from Kdramas were Jung Jong’s family in The Princess’ Man. Jong’s family wasn’t that well in financial terms, but he’s still respected for his father and grandfather’s outstanding performances during their lives as government officers. Because of that reason also, he was chosen to be the royal consort. Hence, the ancestors’ status were also a great help for their descendants. Respected by people of lower classes, they were the one who provided the land for the commoners to rent or work on since they got it presented by the King. 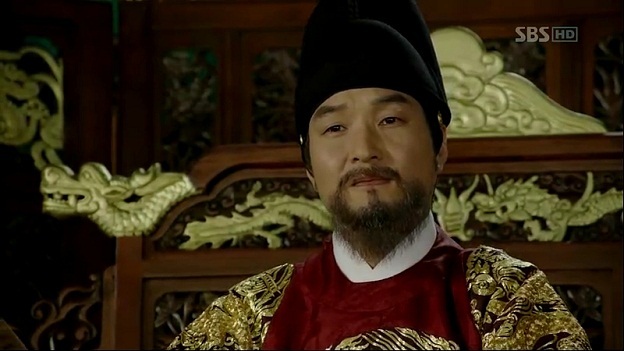 Yangban collected rents for their own land and also the taxes for the government from the lower classes. They are the people with the stable life: jobs from the government and continuous supply of money in the form of rents. Another plus point for being in this class was being exempted from government taxes and even military services. Their high status was maintained through marriage with other respectable clans. Most of the time, the yangban would marry among themselves and keeping the status to themselves and passed down through the next generations, provided that their sons and grandsons passed the exam and got the posts in the government offices. In order to record their family members and ancestors, especially for entering the gwageo, most of the yangban families got themselves genealogy chart: a family tree to record the names of male members of the family. 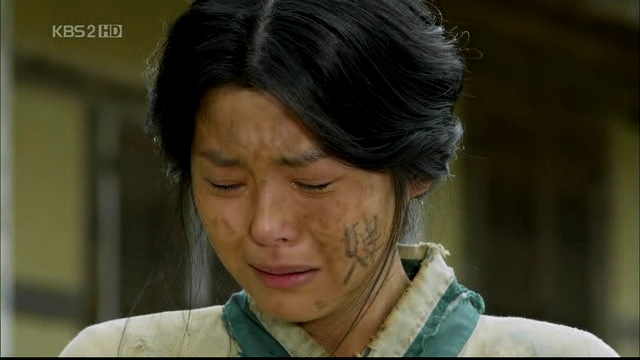 So the chart, or jokbo, was one of the proofs someone would use to prove himself as a member of a yangban family. However, towards the later period of Joseon Dynasty, the number of yangban kept increasing but their life wasn’t getting any better. Most of them were living in poverty because of limited job opportunity in the government and more scholars easily passed the civil service examination. In order to keep living despite the hardship, most of the poor yangban sold their status to the wealthy lower classes people. These people, most of the time the merchants, were attached to the genealogy charts and gave them an immediate (or fake) yangban status. Forged charts and theft were also common at the time as the situation was uncontrolled. Most of the lower classes people attached their names to the stolen or forged charts in order to avoid the taxes and military services. Because of too many problems arising from the system, the yangban class, and practically the social class of Joseon Dynasty was abolished in 1894. The word jungin “중인” literally means middle people, and the name described a group of people who had fallen out of the yangban class and also the commoners who had achieved higher social or economic status that caused them to be elevated to a status higher than the common people but still below the yangban group. Jungin usually consisted of lower government officers: those working as interpreters, accountants, calligraphers, artists, musicians, jurists, and local magistrates, also including illegitimate children of yangban. Hence, one can be considered jungin through his job or his lineage. They were the smallest class in Joseon but they were actually the backbone of the dynasty in terms of technical work since they were the professionals that maintained the country. 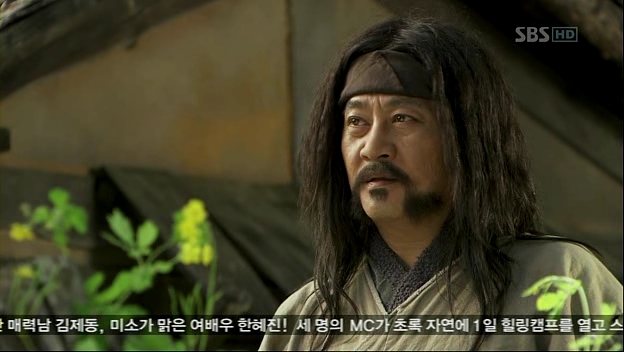 They were also exempted from taxes and military services, just like yangban. One could be elevated to the jungin class through a miscellaneous civil service examination called chapkwa that would entitle them chances to get a post under the government. Although they’re one level below the yangban, they got little or even no respect from them. However, they had the chance to rise to the yangban class through marriage or taking the civil service examination or gwageo. As for the daughters of the jungin families,they had the chance to be offered to be the court ladies through contacts inside the palace. If that girl was lucky, she might stand the opportunity to be one of the King’s concubines. The jungin class became more abundant towards the later Joseon. It was widely used beginning in the 17th century and it became a hereditary status for the families. That’s why the jokbo for jungin families did not exceed 10 generations. 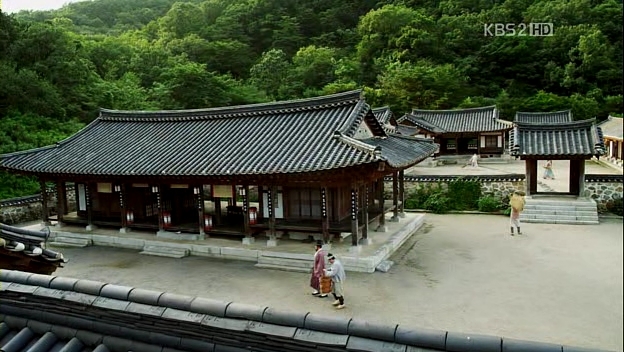 Sangmin were the commoners of the Joseon Dynasty. They consisted of peasants, farmers, merchants, craftsmen, and other types of laborers. In the society, they were considered the ‘clean workers’ as they weren’t owned by anyone but themselves. Although they received little recognition of their status, they were still regarded as the independent citizens of Joseon. These commoners constituted to the largest group of people in Joseon, hence they were the backbone of the government economically as the main tax payers and the heavy workers. Despite their independent status, sangmin were still subjected to the military services. 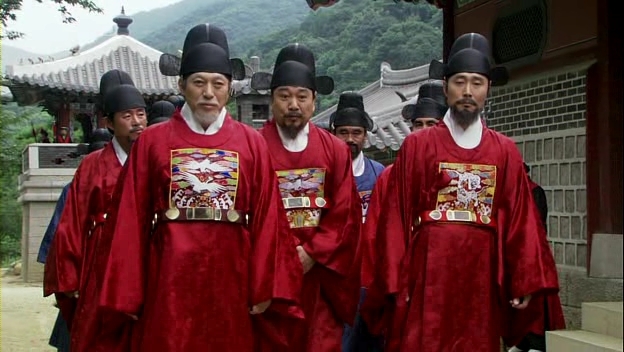 They were also, in my opinion, the ‘real’ working class of Joseon. This is because during that time, some of them owned their own piece of land while others rented the land from the yangban for them to farm and produce their own crop. They were the class that made Joseon went around progressing smoothly through their products. Sadly, they were generally living in poverty as they were living in oppression from the yangban. The market street: where commoners are usually seen in dramas. They are also depicted as people who love to gossip about the current happenings. One interesting fact was that the farmers and other laborers, although living in hardship, were far more respected by other people, compared to the merchants. This was due to the reason that they produce their own food through their own hard work, unlike the merchants. These merchants were seen as parasites who get their wealth through exchange of goods, rather than producing their own goods. This was also the reason why they were considered the low class citizens despite their wealth, and heavily taxed by the government in order to refrain them by gaining social mobility through their immense wealth. Sangmin didn’t have family or last names like Kim, Park, etc. It’s common for them to have their first names only throughout their lives, since it would only be used to identify themselves. Unlike the classes above them, they didn’t have that many opportunities to use their names, for example to participate in civil service examination, hence it’s enough for them to have a name without any indication of what family they came from. However, they began to adopt family names later in the era in order to avoid the stigma of being a low class citizen. If sangmin were the ‘normal’ commoners, cheonmin were the vulgar commoners. Gisaeng (female entertainers), acrobats, actors, mudang (shamans), blacksmiths, nobi (slaves), and jail keepers were among those considered as ‘dirty’ people as they did jobs that people considered as dirty and undesirable occupations. Gisaeng are the most commonly featured characters in Kdramas and just like in dramas, gisaeng were often taken by yangban men as concubines or secondary wives/mistresses if they’re favored by the men. Most of the cheonmin were slaves, or known as nobi. These slave could be either publicly owned by the government or privately owned by individuals or families. Privately owned slaves could be inherited as personal property. This showed how slaves weren’t treated equally as humans; they could even be bought and sold like livestock. These slaves were often made to work as servants in the household of yangban for privately owned slaves, while the government slaves would be utilized as field laborers or public servants in the courts. They were often people being punished for crime or failure to pay their debts. Becoming a slave voluntarily was also possible; most of the time done by sangmin or commoners to escape extreme poverty. Lady Ryu, Seung-Yoo’s sister-in-law was sent to Prince Onnyung’s house as a slave as a punishment for being a family member of Kim Jong-Seo. Some slaves were tattooed with a distinguishing mark on their bodies, sometimes on their faces, to denote their status and prevent them from escaping. Slave status was hereditary and female slaves often became the yangban‘s concubines. Because of these reasons, many of them decided to run off to the mountains and formed gang of bandits, robbing people traveling near their areas in order to support their lives. As cheonmin was of lower class than sangmin, they were barred from most social advancement, including joining the government services or taking the civil service examination. Literally, the word means ‘common people’, but they were actually the untouchables. They experienced severe discrimination from the upper classes; sometimes they couldn’t even walk the same road or use the same doors with the yangban. They were not included in the registry and got no civil rights. But then, the bright side for them: they were exempted from any kind of taxes, labor, or military services. Baekjeong were the social outcasts; for instance those who inherited occupations like butchering and tanning, nomad people, and beggars. As for the nomad people, they were divided into two groups: hwachae/suchae (butchers) and jaein (entertainers like gisaeng, dancing troupes, actors, prostitutes etc). Butchers were making their living using their skills in butchery like hunting, butchering, and tanning. They were discarded from the society as Buddhism didn’t really favor the consumption of meat and killing off animals were considered inhuman and cruel. As for the entertainers, they traveled around the country, performing on the streets and even providing “one-night-stand” services when they stayed for a short time at a place. These occupations were considered frivolous and low. The best examples of baekjeong people: Samo in Warrior Baek Dong Soo is a butcher while Seol-Hwa in Chuno is part of a travelling dancing troupe. Most of the butchers settled down at permanent areas, serving the upper class men with their skills and beggars also had their own housing area, though their areas were usually situated very far away from the city, segregated and isolated from the noble. As for the entertainers, they preferred to live as nomads. the genealogy chart is jokbo, not jobok. Jobok is a type of clothing. Hi I’ve lived in Korea for eight years now and have studied Korean history and language extensively. This is a good article but the social stratification system of the Joseon Dynasty did not end in 1895. That was the end of the First Sino-Japanese War which opened up Korea to Japanese influence. The Joseon Dynasty wanted to assert it’s power and independence and so changed its name to The Korean Empire but the Josoen dynasty lasted defacto until 1910 and while the Gwangmu Reforms were supposed to modernize Korea they had little effect on the class system. That faded out during Japanese occupation (1910-1945) when the distinction between loyalist and sympathizer became more important. Even today in Korea your family lineage is extremely important and many remifications of Confucianism and the class system can still be observed . If I’m not mistaken, Gabo Reform caused the class system to be abolished. To be more exact, the yangban’s status as the influential figures over the course of the dynasty was revoked in 1894 and replaced by the Japanese officials of the Japanese government. The class system was abolished through the ban of social discrimination. You’re right, family lineage exists in modern Korea and some families still continue observing their customs and protecting their family pride, and chaebols are like the modern version of yangban. HI, While the legality of the Yangban and class system was abolished de facto it still existed. For example “President Syngman Rhee had “rehired” the yangban to hold positions in the new government during the late 1940s.” The class didnt just dissolve they were still around to be rehired in the 1940s. They were the educated class so when the Japanese eventually took power many Yangban maintained their standing by supporting the Japanese. As for the Seonmin “It was legally abolished in Korea in 1894 but remained extant in reality until 1930.” The whole system had its roots in Confucionism, just like the mandarin system in China, which is alive and well in Korea today. The legacy if the class system, much like the legacy of slavery in the US, can readily be seen in modern Korea. You said that Sangmin didn’t have last names. What about the classes below them (Cheomin and Baekjeong)? They didn’t have last names, too? Those with last names were usually families who kept the family genealogy (jokbo). Nobles (and later the middle class men) were those with the privilege, while the people below them – free-born commoners and lowborns – did not have the privilege nor means to keep their family tree, let alone the family register (hojeok). Thus, this resulted in the lower class citizens having no last name, but the situation changed towards the end of Joseon. That was when the sangmin, cheonmin, and baekjeong, begun to attach their names and/or buying the genealogies from the poor yangban families. Thus, they could use last names too and avoid the stigma of being lowborns. Thank you for this good article. I’m a scholar writing about the burakumin in Japan, the butchers there. Many of them still live in the old neighborhoods and people know that they are burakumin. In Korea nowadays, or even in 1960, did other people know who had baekjeong ancestors? By now have they intermarried completely? 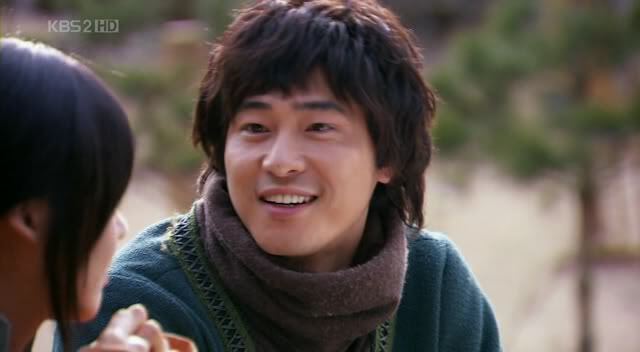 Samo, in warrior baek dong soo, is one of the good guys, a celebrated fighter, and a butcher. Why do you think the writers chose to introduce a butcher character? With regard to ancestry in Korea, it’s difficult to differentiate because the status got mixed up towards the end of the Joseon Dynasty, with lots of selling family registry to move up the social class, plus the disposal of slavery documents might have wiped out the proof of those coming from the lower class. Unlike their noble counterpart, the baekjeong did not have any family genealogy record so it is difficult to trace back to their ancestors, and in most cases, they didn’t even have family names. As for butchers in dramas, I think it lies in the charm of the butcher’s status itself. They were regarded as unclean because of their work, so people avoided having encounters with them. Hence it adds to the mysterious air around them, making them interesting people to be created, especially from a narrative point of view. I’m trying to get a list of Ministers that would be advising King Injo during the time that Sohyeon was alive by title, if not by name. (You know the ones that line up in perfect rows in the courtroom wearing red while the King says things and they either say, “Kill me” “You are most gracious” or “We apologize.”). But I’m definitely missing some since visually there are more than that. Hello! Sorry for the late reply. These are the possible ministers who were attending the court, those who wore red robes..
Directors of various Offices ~ some of the big shots held more than one post in office and there would be more people attending the audience with the king depending on the situation, so the numbers could increase or decline.